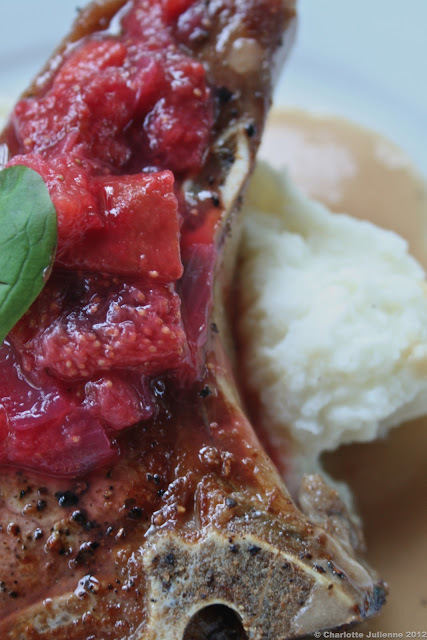 We couldn’t resist the pork chops that the butcher was offering at the market today. It is HOT here though and we also couldn’t imagine anything too heavy for dinner. 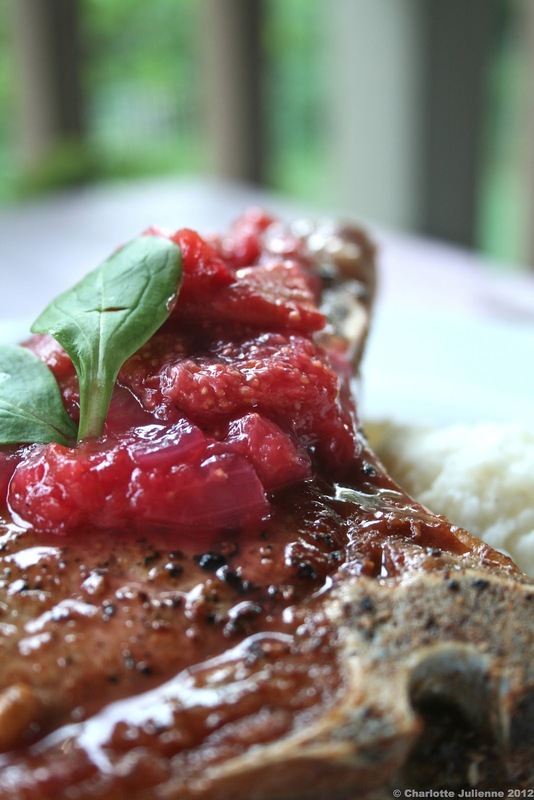 This super summery plum and fig chutney helped lighten the dish and make it fresh while adding tons of flavor to the pork. We began with black and red plums and about three fresh figs. We chopped them (roughly) and added them to a heavy saucepan along with an onion, salt, pepper and a bay leaf. 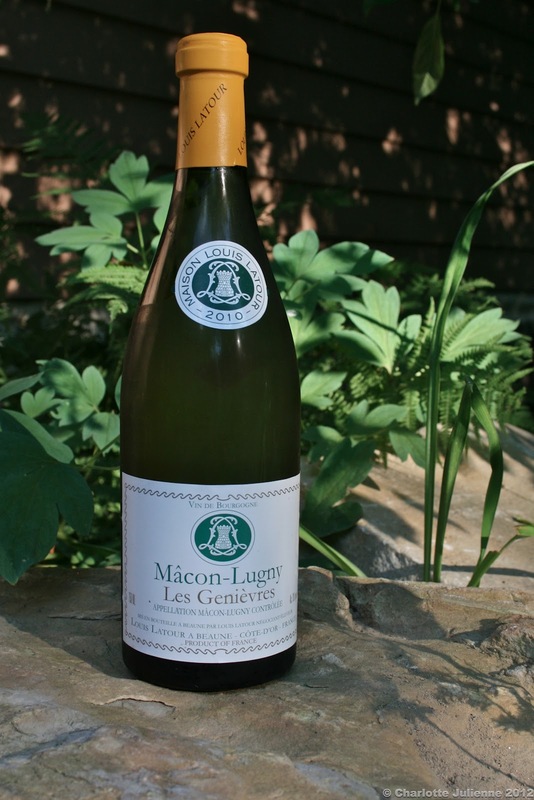 We also added a good splash of one of our favorite white wines, Louis Latour 2010, which we were having with our dinner. We’ve said it before, Louis Latour is one of our favorites when it comes to wine. Affordable and delicious! What could be better? When the chutney was finished it it was a fabulous red / pink color and was both chunky and silky. The great thing about chutneys is that you can make them in tiny amounts. We only made enough for this dinner. Atop the pork it added color, texture and so much flavor.